When the player hits an actor or an object, a “hit-stop” (a tiny pause) is added along with camera shake and blur effects. This makes weapon strikes feel more solid and heightens the sense that a hit has actually been made. TK Dodge 3.0 has been revamped. Improved feel of use. 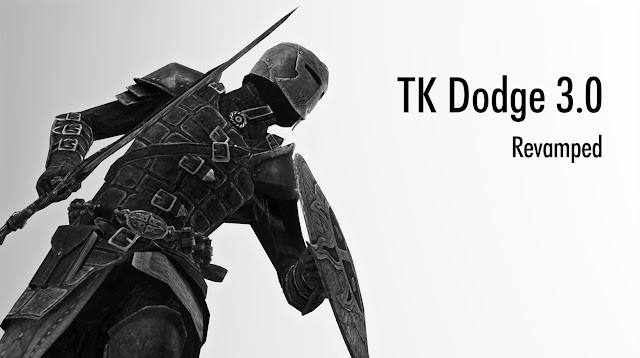 TK Dodge is compatible with FNIS 6.3+. Please read Installation in description. This mod is combat overhaul mod focusing on enhanced game enjoyment and ease of play. The goal is to bring Skyrim closer to a neat action game than to increase difficulty and reality. Your tactics and operation, more affecting results of combat. This MOD is aimed at easier character creation and more finely adjustable. Addition of head parts such as nose and eyes. The main functions are add some new sliders, face parts, new race, realistic colors, vertex editing, improvement head parts and more. I get tired of the same question every time. Porting to SE is very very boring. SKSE64 is not perfect and Oldrim is still mainstream so please play Oldrim. PS4 is too restrictive and I cannot port at all. Cute EyesUltimate Dragons - plugin is done. But I'm troubled by a unknown crash. PortedEnhanced Character EditFace LightUItimate Combat Khajiit Child Ma'ishaPretty FaceQuick LightSimple HorseTK ChildrensaLa Hair Pretty KhajiitTK HitstopTK Recoil No porting TK Combat - Development has done. I am planning to new mod without magic. Additional parts and corrections only.Cute Eyes No porting Porting is impossible without SKSE. This page is my mods list. 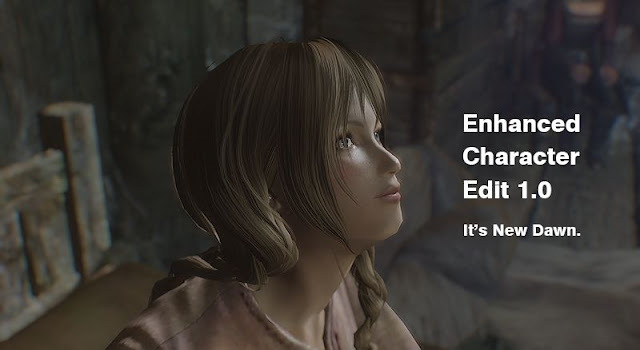 Enhanced Character EditAdds some new sliders, face parts, a new race, realistic colors, vertex editing, improvement head parts and more. Ultimate CombatEasy-to-play combat overhaul mod that adds continuous attacks, dash attacks, and dodge etc. TK DodgeAdds dodge for the player. TK HitStopWhen the player hits an actor or an object, a “hit-stop” (a tiny pause) is added along with camera shake and blur effects. This makes weapon strikes feel more solid and heightens the sense that a hit has actually been made. TK RecoilWhen the player shot a bow or crossbow or staff, a "recoil" (a tiny pause) is added along with camera shake and blur effects. Khajiit Child Ma'ishaThis mod adds a Khajiit child whose name is Ma'isha. You can adopt her such as other urchins. TK ChildrenThis mod modifies child faces for giving some variation. Face modeling is based on parents and personality. Quick LightTurn on a light when long press the activation key. I'm tktk, make mods in TESV Skyrim.